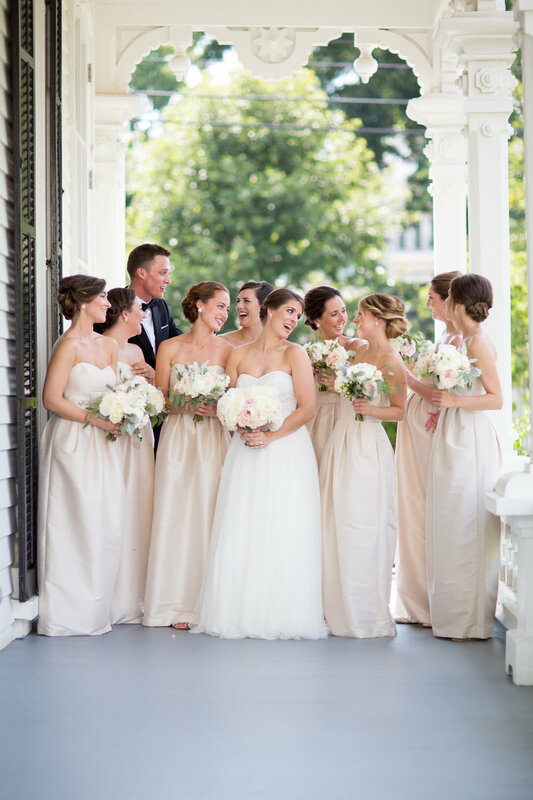 Bethany + Geoff were married on a beautiful summer afternoon in July at the Merrimon-Wynne House in Raleigh, North Carolina. 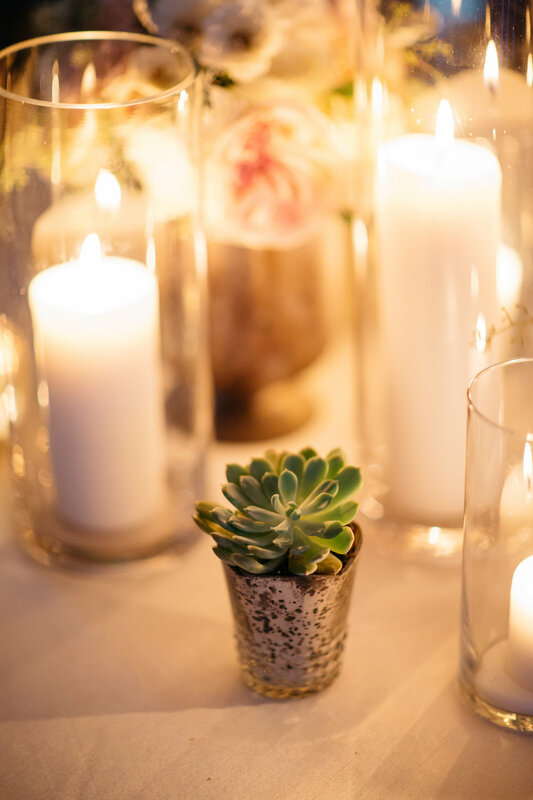 They chose a soft color pallet of pinks and blushes contrasted with vibrant green ferns and succulents. 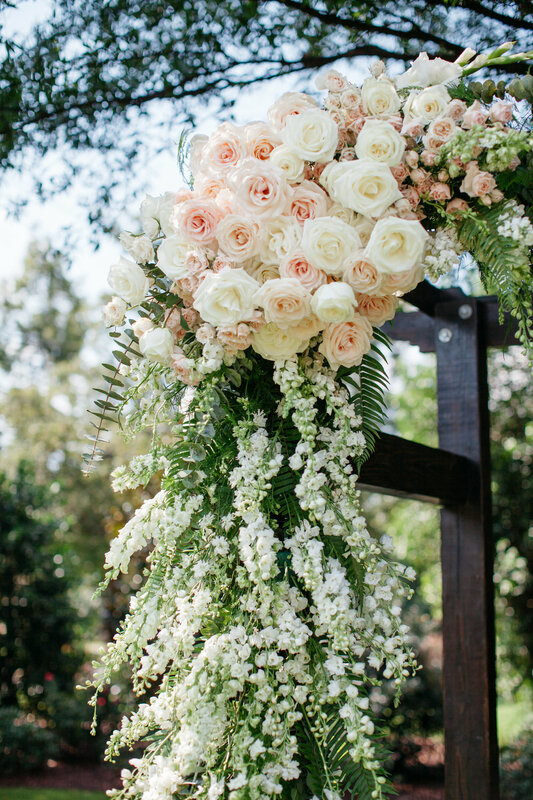 To achieve their vision of a dramatic floral ceremony backdrop, a large wooden arbor was covered with white delphinium, snap dragons, stock, larkspur, dendrobium orchids, gladiolus, roses, spray roses, eucalyptus, ivy and several types of ferns. 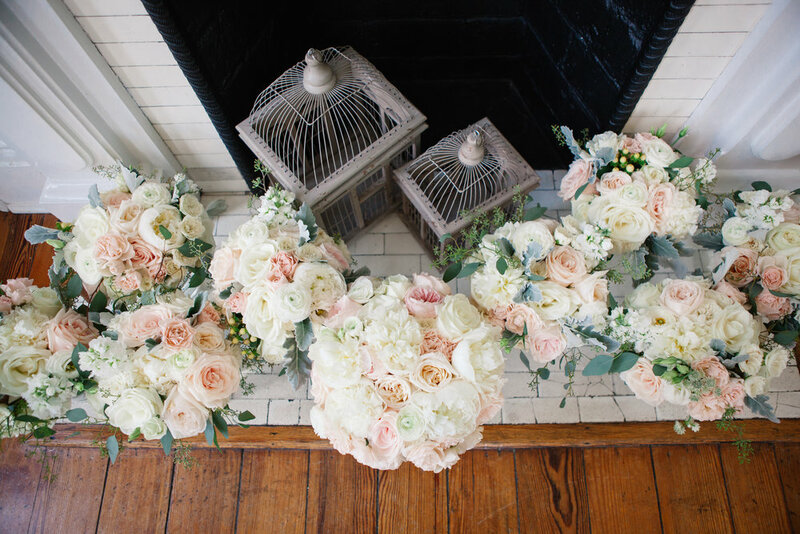 Inside the Carriage House, a mix of tall and low floral and greenery arrangements was accompanied by a hanging greenery installation. 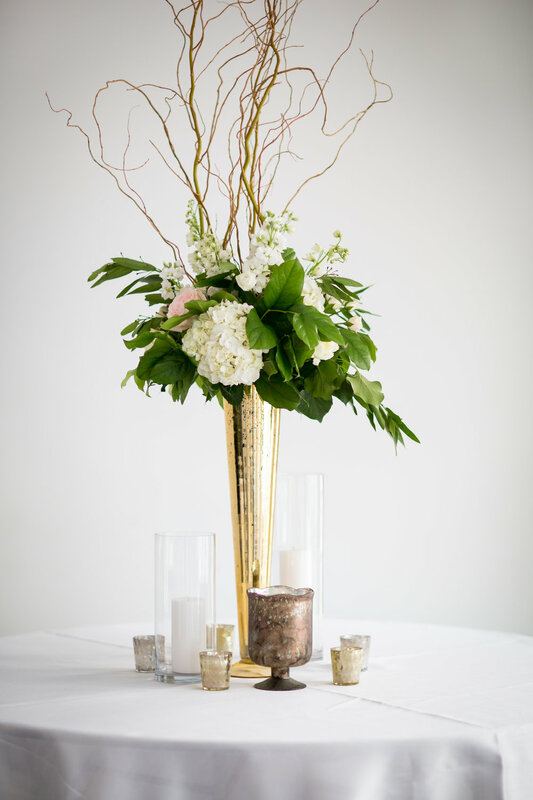 We loved working with Gina Johnston at A Southern Soiree to bring the vision to life. 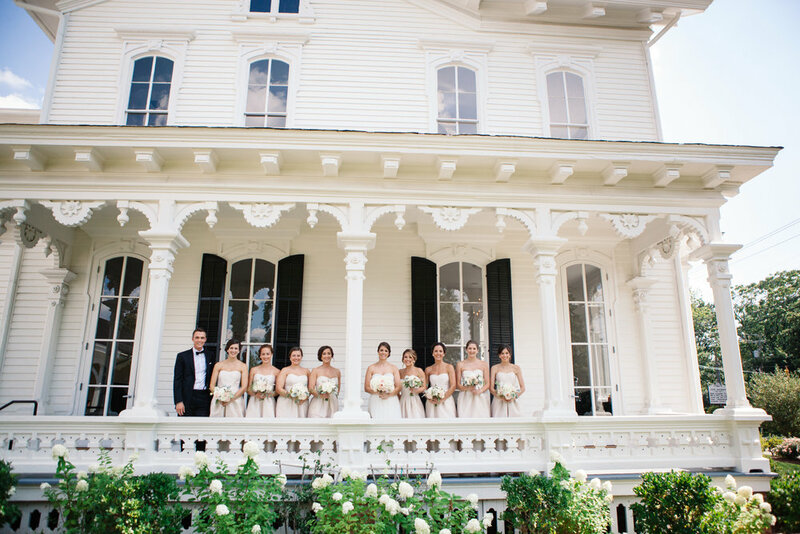 The details of the entire day were exquisitely captured by Melissa Maureen Photography.